Ladies and Gentlemen, our Automologist MAC brings to you the newest addition to a long line of motoring excellence: the 992. Long live the King! 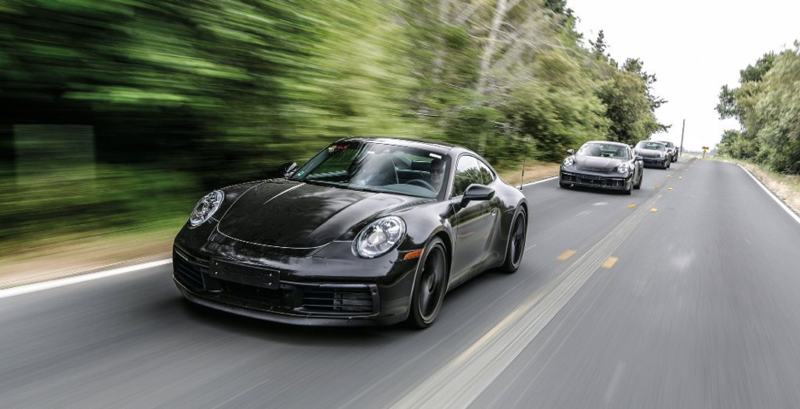 When it comes to just about anything automotive, there is not much that can compare to a Porsche 911, a model number that has lived for 55 years and right now is entering its eighth regenesis. Is it the fastest? Is it the flashiest? Is it the rarest? The answer to those questions is, of course, no. But then, there are over a million of them out there and each and every one is as iconic as the next. There have of course been contenders for the title, but they have all faded into the past, fallen by the roadside in a way, if you like. I know deep down in my very soul that the 911 will go on until the day when internal combustion engines are only found in museums. A day I hope I never see. Evolving the brand is Porsche’s game, but unfortunately for us pure petrolheads (and Porsche fans like me), the big story for the latest incarnation will be about ‘hybridisation’ and autonomy. “Good god, man!” I hear you cry “a self-driving Porsche 911!” Well, it does sound about as useful as a self-drinking glass of the finest single malt whisky. But not with this particular 911 as we will be free to continue enjoying our driving. It will only offer enough autonomy to take the pain out of your daily commute and absolutely no more than that. Worry not, Porsche designers didn’t get to be head of the class by scoring an own goal like that. Like It Or Not, Porsche Goes Electric! With a lively, small electric horse. There is a host of technology fandangles on board that is designed to make the car the car a bit more friendly because, let’s face it, in the old days in the wet, it was really only for the brave. In fact, the latest model, known to insiders and aficionados as the 992, is very much like the previous 991 except with much more aluminium. Those clever engineers over in Stuttgart have stretched the roof a little, and made the front look just a tad more beefy. In fact, the car is just that little bit bigger all around, which may reflect how the 911 faithful has also increased in girth over the years; just another of those inevitable facts of life, I guess. Therefore, the new 992 looks a little more bulky but is in fact a little lighter, and will only have the fat backside of the sports version. And it no longer will end up backwards in a ditch on a rainy night. Sounds great to me. Where do I get one? Kuala Lumpur Airports Go "Silent"